*I explained that I wanted to use some pretty basic exercises/routines in my Q today—in the hopes that I could help prepare future Q’s with some tools for their belt (so to speak). Partner A runs to designated point while partner B performs exercise. When A returns they switch, sharing total # of reps.
As PAX completes a round (or two) of Mary(ab exercises) one HIM picks up and body slams a punching bag (aka Hulk Hogan). He then returns and gets back into Mary cadence, the next HIM takes his place… until all have slammed Hulk Hogan. Group makes arch by holding Downward Dog side-by-side. One member army-crawls through then joins/extends arch. Next HIM gets through… repeat until across soccer field (short-ways). Make it a race! Partner A holds plank. Partner B hops over then drops down, holds plank. A gets up, hops over B. Repeat until back across soccer field. Partner Carry across field. Switch and repeat. *Mental Note: always chose Popcorn for this activity, as he is the G.O.A.T. We ended up lapping folks! All line up and sprint to the other side of the soccer field AYG (with all you got). Walk back and repeat. (this was a kids-sized field, mind you). 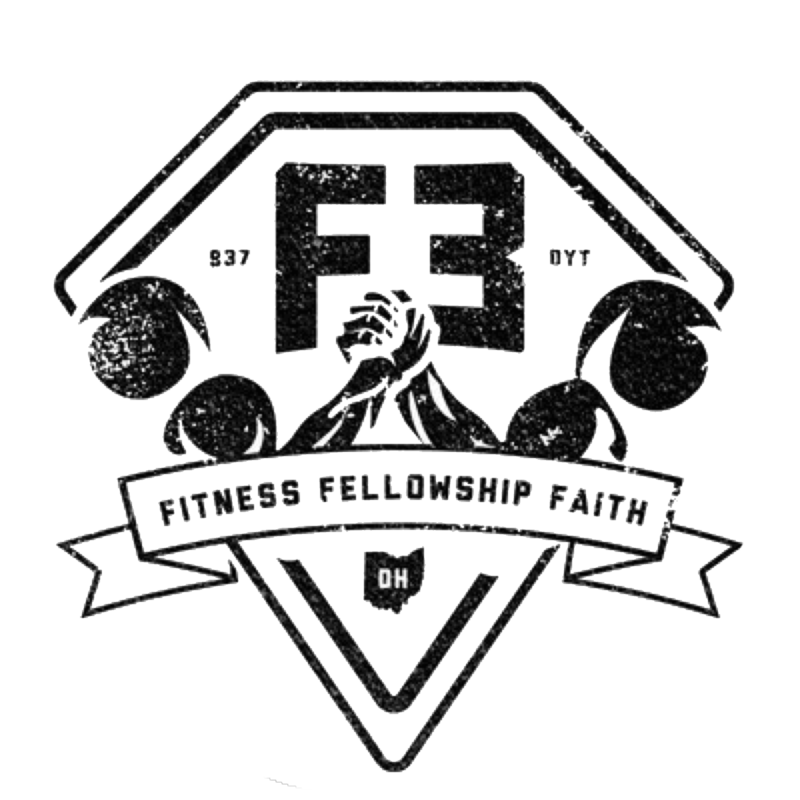 During the workout I was able to breach a couple topics: my F3 story, “Picking up the Six,” “Modify as Necessary,” & Back Blasts. During the Circle of Trust we got to know and named our new FNGs. Tails announced a Monday workout. Then Bone Daddy took us out with a prayer.